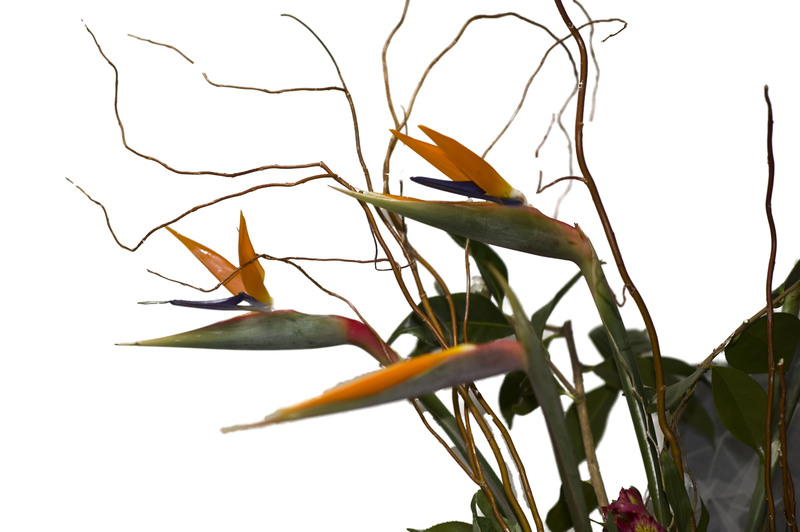 Birds of paradise arrangement for art gallery. This piece was specially commissioned for an opening of a new gallery. The arrangement is very tall and wide. It completely took the center stage on the floor. 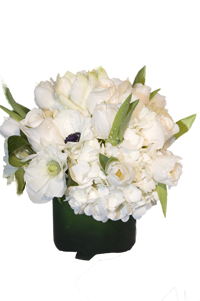 This is not priced normally, due to rare vase and high cost of imported flowers. 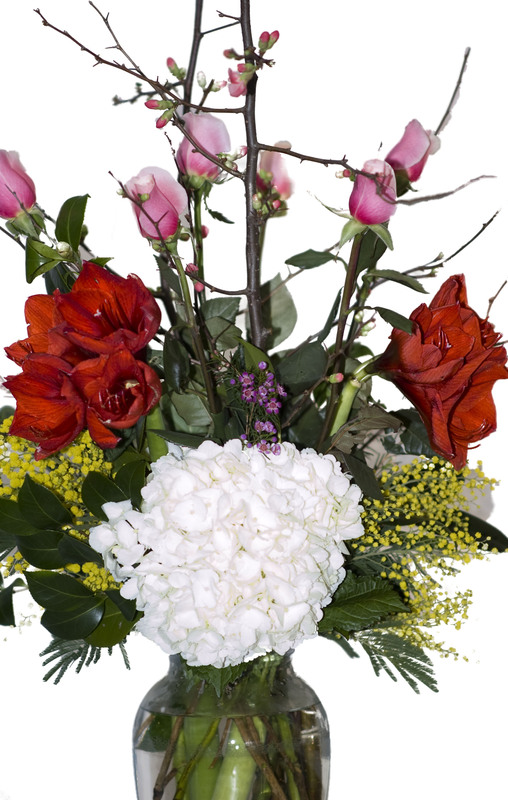 This arrangement was created for an office setting. Meeting room piece needed a matching color arrangement that was tall and elegant. This is another one of Monique’s tall arrangement for the house entrance. First view of the interior can be something like this! 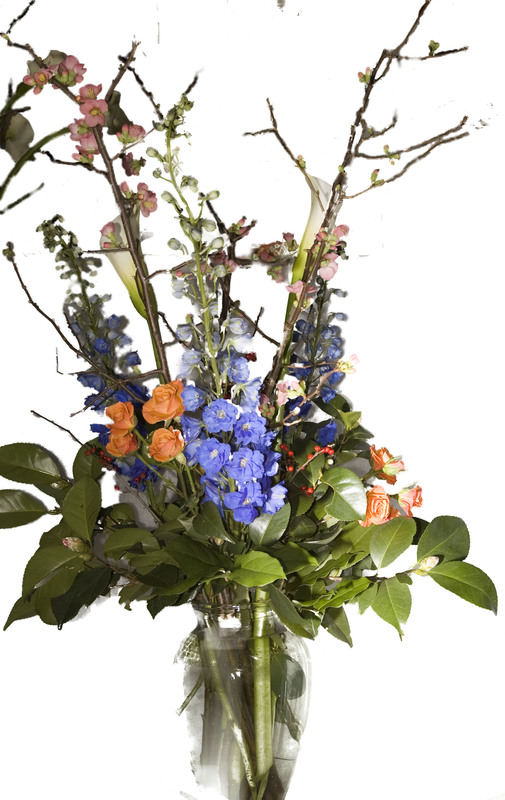 Amaryllis and Roses along with cherry branches in tall vase. Highly seasonal, substitutes are readily available.